Get backwoods performance with downtown looks when you pull on the Sorel Out ‘N About™ Winter Boot. 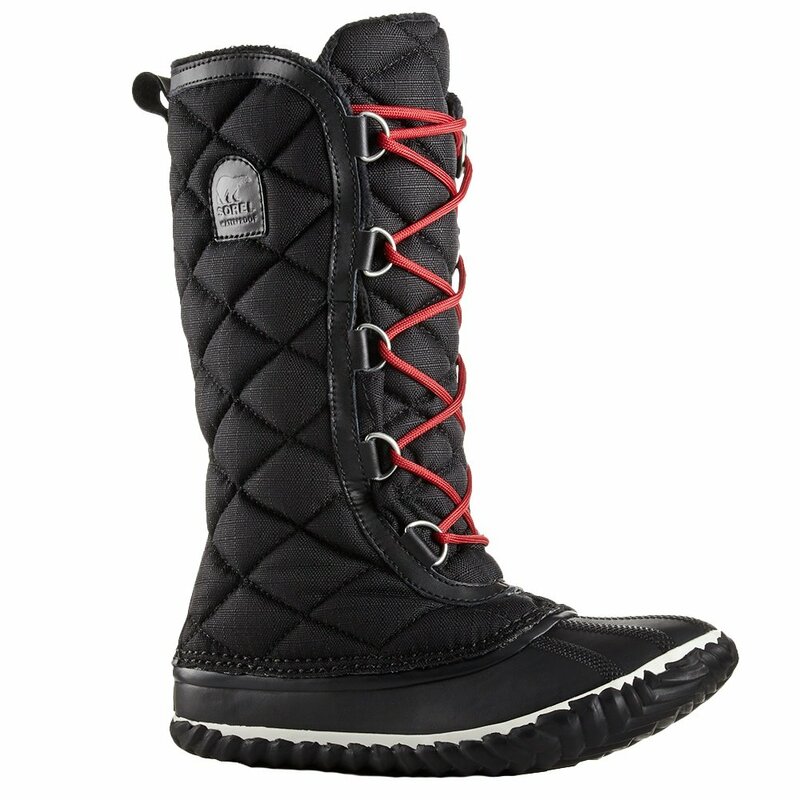 Designed for women who want the warmth and water protection of classic “duck” boots, but need something a bit more style conscious, these boots feature a one piece vulcanized rubber lower portion that offers powerful protection from the elements welded to lightweight style and protection from the ripstop nylon upper portion. Altogether these boots are fully waterproofed, and the synthetic insulation inside works with the microfleece lining to keep the cold at bay no matter what kind of weather you encounter.